There are many events may happen when you are on the road. You may encounter incidents such as running out of fuel or battery, a punctured tire, or accidentally sliding your vehicle into a ditch. Whatever you experience at these uncalled events, the first thing you want to do is to get assistance from someone to remedy the situation. Even though it is easy to reach out for a towing company, however finding the right one may not be as easy, as there are tens and hundreds of towing companies out there with varying quality. Here we shall examine some of the factors which make a towing company standout among the rest, and how it can be relied upon in times of need. You can make full use of the internet and check out the reviews of respective companies. You may also want to check with your friends or relatives regarding their own recommendations on the good roadside service providers they have engaged before. Checking out the rates will also be helpful because you can have a grasp of how these companies will charge for their services. Find out how the company will contact you in urgent situations and how fast they can reach you. 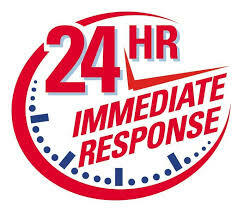 You will be needing a prompt and reliable support in emergency situations. Choose a licensed and legitimate towing service provider which you can trust. If you are renting or hiring vehicles, check with the collision protection company to see if they can provide some reliable towing companies they are using. Select the service providers which can offer a range of services other than towing. You can call up for their help if they are efficient in the assistance they can provide. Choose the service providers which offer 24-hour towing or roadside assistance. Because vehicle breakdowns have no schedules; they will not just occur in business hours. You don’t want to be stranded on the road in the middle of the night and not able to get assistance. Take note if they offer different types of towing methods; wheel lift towing, flatbed towing, tow dolly and etc. Depending on situations certain methods are more effective and efficient to solve the vehicle issue. It is better to be prepared for any roadside issues, so that when crisis happens, you know you are covered and protected. This can reduce stress considerably especially in emergency situations. 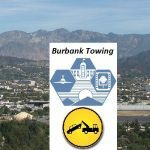 Burbank Towing Services offers 24/7 towing and roadside assistance. Contact us at (818) 319-4477.